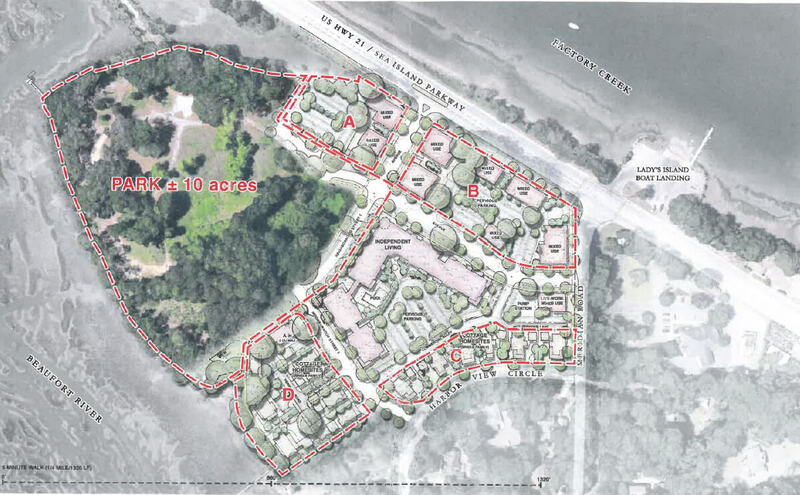 Whitehall is the only piece of property in northern Beaufort County of its kind – the only waterfront property remaining that could serve as a useable public waterfront park connecting Lady’s Island to the Henry C. Chambers Waterfront Park. With 850′ of walkable waterfront, the 900’ pedestrian/bike trail and ample parking, it can be one of the most connected, accessible and useable public parks in downtown Beaufort. If 10 acres of this property were to become a park, it would remove 67 approved residential units and associated impacts.